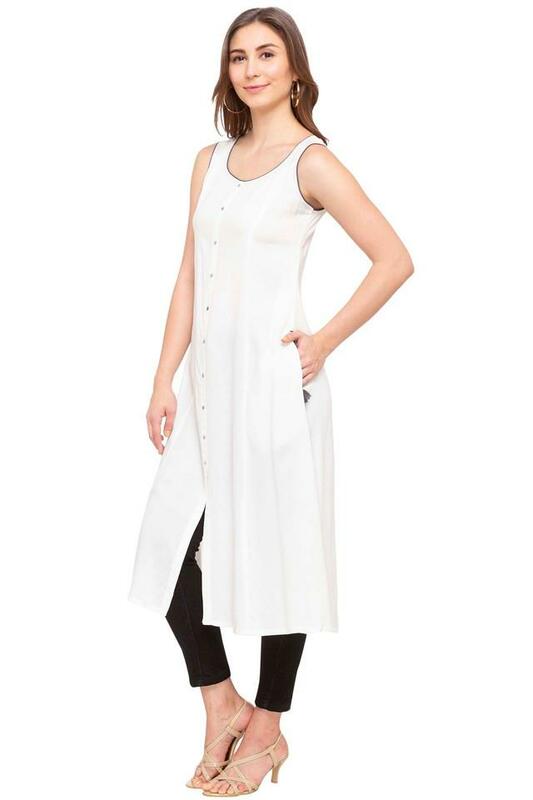 Raise your traditional style quotient to the next level as you dress in this front slit kurta from Imara. 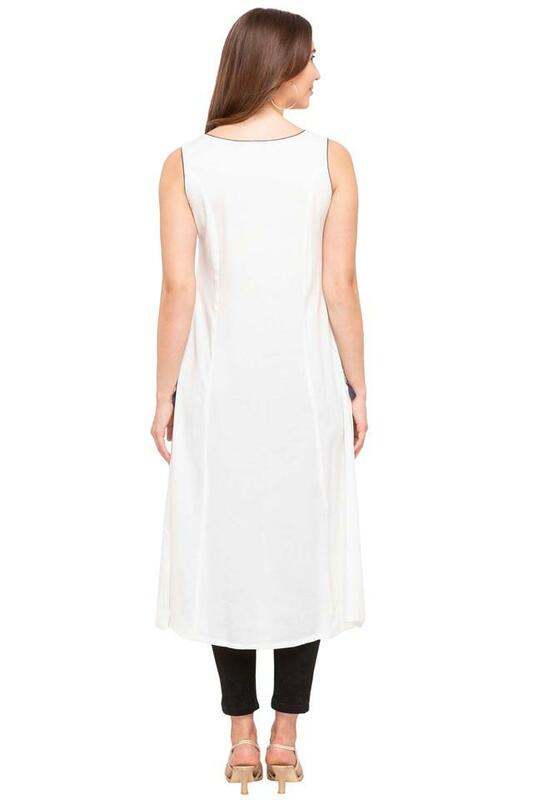 Further, it features a round neck, solid pattern which gives it a trendy look. In addition, it is crafted from good quality fabric to keep you comfortable all day long. 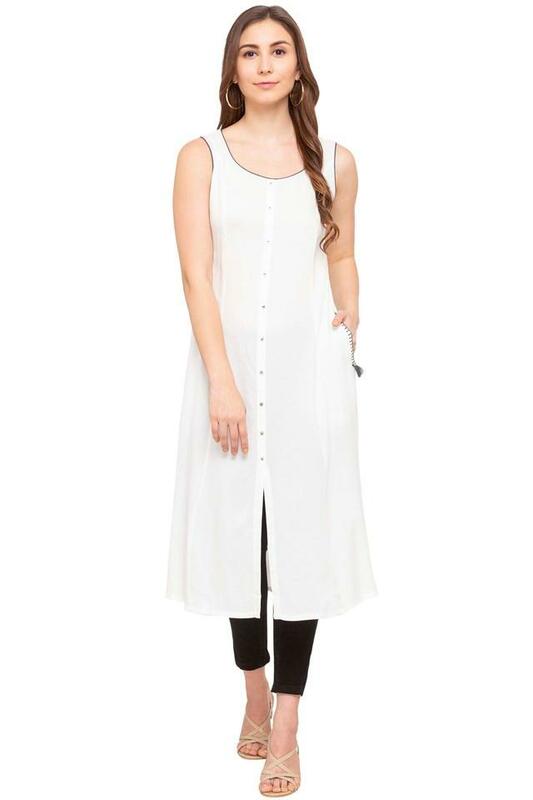 Add an appeal to your look by opting for this kurta. Team it with a pair of leggings and sandals for any casual outing.